Home » entertainment » film » At the Movies Jr. There are obviously many wonderful family Christmas movies both old and new. I didn’t want to suggest something like It’s a Wonderful Life that I know everyone has already seen. When considering which one to choose for this “Jr.” Christmas edition, I decided to poll my children, who represent a wide range of ages, for a second opinion. Not only did they verify my selection, but it was unanimous – and that is because “Nightmare Before Christmas” has a little something for everyone. It has an easy to follow plot for children (but not TOO young – it can be a tad scary), more sophisticated humor for teens and adults and fabulous visuals for all. Shot in distinctive stop-action style, it was understandably nominated for an Academy Award for Visual Effects. Although conceived by the quirky yet brilliant Tim Burton of Beetlejiuce, Edward Scissorhands and Batman fame, it is actually directed by the talented Henry Selick, who took three years to make this fabulous alternative world seem plausible. The plot is simple – Jack Skellington the Pumpkin King in his world of Halloween Town is bored. In his search for bigger and better things, he stumbles into the world of Christmas Town and is enchanted. He brings the idea of this new celebration back to Halloweentown, thinking it would be a wonderful idea for them to execute the activities of this more colorful and happier holiday. In his effort to take over, he kidnaps Santa, and turns Christmas into a creepy version of his Halloween which isn’t appreciated by the children around the world. But fear not, Jack realizes the error of his ways just in time. To give you a bit of the flavor, here is a clip of when Jack first discovers Christmas Town. The spectacularly detailed visuals are the signature of this imaginative film. You could watch this movie several times and discover something new with each viewing. To give you an idea, there are 227 animated characters and Santa’s head alone has 50 separate working parts. Add in the memorable songs, wonderful cast of characters and unique world of cinematic genius and you have this offbeat creative classic for the whole family to enjoy! This entry posted in entertainment, film. 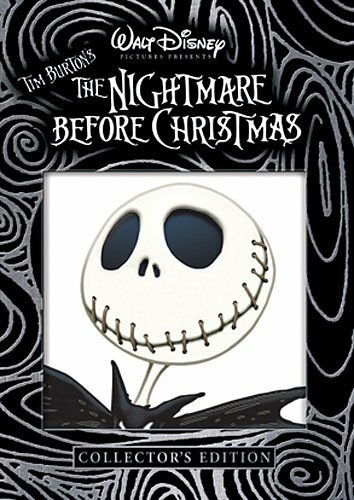 Entry Tags: Christmas Movies, Nightmare Before Christmas Bookmark the permalink. 9 Responses to At the Movies Jr.
My son and I were just talking about this movie! We got all nostalgic (he’s 15!) remembering what a great film this is. Hi Anita – I think he’s not too old to revisit – I have some even older who still like it! This movie has been on my list for years. Thank you so much for the clip. Now I’m dying to see it! Enjoy your weekend! H.H. – You’re so welcome! Enjoy the movie!! This looks like a fun one! Another Christmas time must-see for me is “The Little Princess” with Shirley Temple, Cesar Romero, and Arthur Treacher. Hi Natalie – It IS fun! And I love Little Princess – the new one isn’t bad either – but nothing like the adorable Shirley! I remember this movie as a sensory treat. Did you enjoy Alice in Wonderland?? I thought that was magnificent! 82 queries in 0.396 seconds.